Jesus knows your weaknesses and my weaknesses. Looking at the Divine Mercy image you can experience God's mercy and strength. He is risen. He is standing in the centre of our heart. 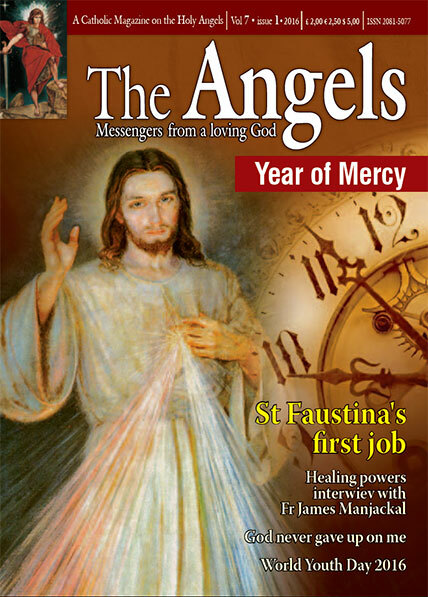 St Faustina wrote: “Jesus, source of my life, sanctify me. O my strength, fortify me. My Commander, fight for me. Only light of my soul, enlighten me. My master, guide me. I entrust myself to you as a little child does to its mother’s love” (Diary 1491). “Give me strength that I may live a new life, the life of the spirit, over which death has no dominion. I am weakness itself, though I do not doubt even for a moment, that I will obtain the help of your grace O God” (Diary 1344). Together with many saints we repeat after St Paul: “Glory be to him whose power is working in us, can do infinitely more than we can ask or imagine, glory be to him from generation to generation in the Church and in Jesus Christ, forever and ever” (Eph 3, 20-21). We pray through the intercession of St Michael and the celestial choir of Thrones that the Lord infuse into our hearts a true and sincere spirit of humility.